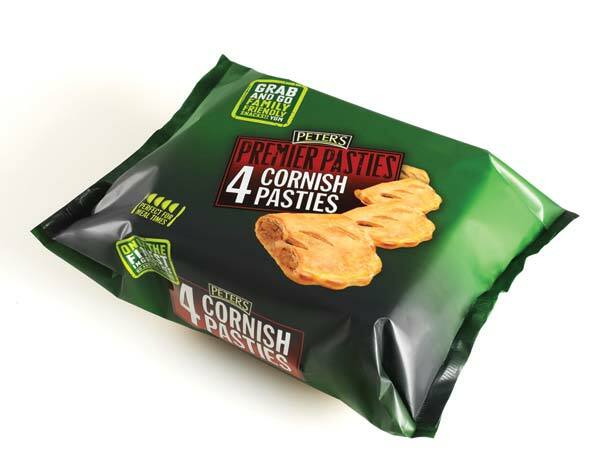 Following the overwhelming success of the recently launched Peter’s Premier Slices (which have been nominated for “The Grocer Gold Awards Launch of the Year), pies and pasties last year, Peter’s is extending its Premier range further this April by introducing seven exciting new or improved lines. They include; the Premier Sausage Roll (165gm), the Premier Pork & Pickle Roll (165gm), a five pack of Premier Sausage Rolls (300gm), the Premier Cornish pasty (220gm), the Premier Pilgrims Choice cheese & onion pasty (220gm), a four pack of Premier Cornish Pasties (520gm) and a four pack of Premier Spicy Chicken Fajita Slices (420gm), will be available from 19th April. 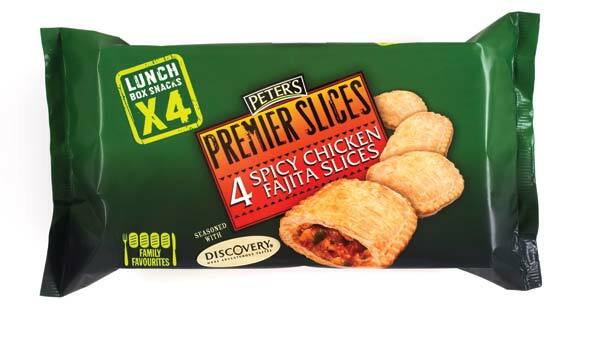 James Osgood, marketing director at Peter’s, said: “We have been extremely pleased with how well our Premier range has been received by the British public, specifically the Premier Slice range which smashed sales targets and increased the value of slice sales for Peter’s by 55%”. “As with all products in our Premier range we have spent time perfecting the recipes for the new lines to improve on existing products and create exciting, delicious savoury pastries in market leading packaging to ensure we always look our best on shelf”. “We are excited to link up again with two household brands, Pilgrim’s Choice Cheese and Discovery Seasonings give increased provenance for consumers. We have changed the shape of our pasties from “Armadillo” to traditional D Shape with a beautiful “sea shell crimp” and with market leading fills, pastry and packaging, we have created our best ever pasties”. 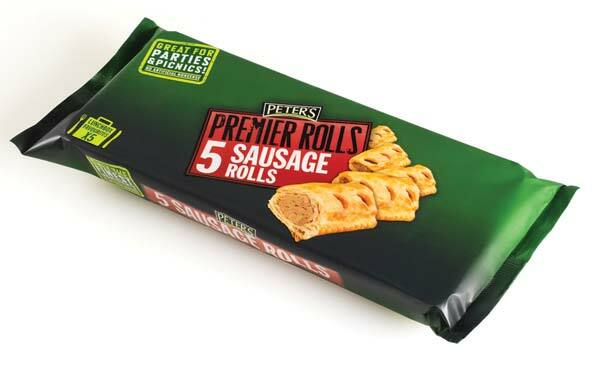 The Peter’s Premier Sausage Roll 165gm & Peter’s Premier Pork & Pickle Roll 165gm are a full 25gms heavier than its competitor products on the market and have been improved with increased meat content, improved product appearance and Peter’s best ever pastry, giving it a superior and balanced eat. 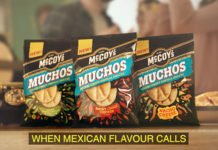 “These lines are part of the continuous improvements we make to our Brand through relevant and delicious products, stand out and trend setting packaging and a constantly evolving range – giving our sales force, our customers and our consumers something to get excited about every season” added James. 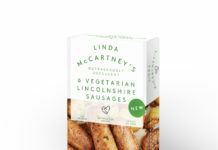 The new lines will be available in selected ASDA, Tesco, Morrison’s and Sainsbury’s stores across England and Wales from late April, and food service outlets nationwide. 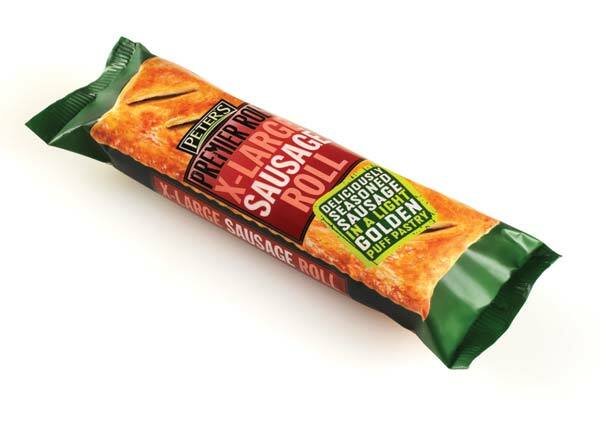 Like all other products in the Premier range, the new lines contain only prime ingredients and no artificial flavours, colours, preservatives, hydrogenated fat or MSG. SHOVE OFF BANKSY, IT’S BEEFSY’S TURN!